Facebook Inc. (FB.O) crises this year have put immense pressure on Chief Operating Officer Sheryl Sandberg, undermining her authority and tainting an image that was burnished by the social-media company’s meteoric rise. 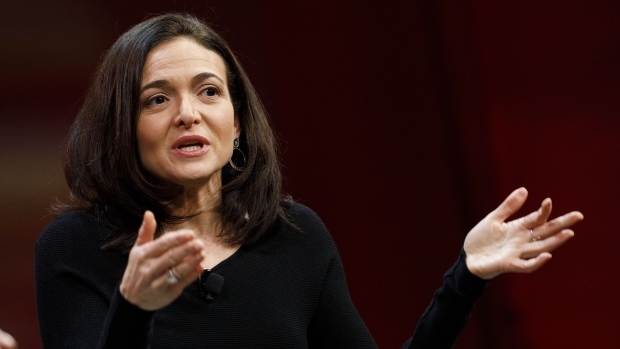 Sandberg has at times focused on her own priorities over Facebook’s, the current and former employees also said. The COO is proactive when thinking about interpersonal relationships and messaging campaigns. Each winter, before the World Economic Forum in Davos, Switzerland, her team prepares a binder of all the people she might meet and what they might ask her. She uses this tactic throughout the year. But that kind of analysis -- of what might occur before it happens -- wasn’t as thoroughly applied to assessing risks to Facebook and how the company might be run differently, the employees said. Sandberg’s favorites are known by the term FOS, for “Friend of Sheryl," and several have been promoted to powerful positions at the company, according to four people familiar with the situation. But there’s been little incentive for these advisers to tell her negative things because she often criticizes people harshly and sometimes ousts them from her close circle when they disappoint her, the people said. “She’s so brutal to people, no one wants to bring her anything,” one of the people added. It's a team that attempts to handle critical and time-sensitive situations, the ``types of problems that cut across the company, touching a lot of different product teams,'' Osofsky said. Before the meetings end, Sandberg either makes a decision or escalates the issue to Zuckerberg, Osofsky added. Two months ago, Facebook showed off a “War Room” that brought employees from different teams together to quickly spot and fix issues like misinformation during the U.S. midterm elections. At the time, the company said the War Room might be deployed for future elections. But it’s been disbanded in favor of the strategic response team as a more-permanent solution, a Facebook spokesperson said. The group coordinated Facebook’s response to a tip from the Federal Bureau of Investigation on potential Russian activity ahead of the U.S. midterms, something that may have previously taken the company longer to address. Sandberg is also recruiting advisers with different experience. Schrage is currently training his replacement -- Nick Clegg, a former U.K. deputy prime minister.